Be part of New Zealand’s centenary of the First World War through this new dynamic WW100 website, the hub for the commemorations. Through WW100 (http://ww100.govt.nz), schools, families, communities and workplaces can share what they are doing to be part of the centenary. The First World War (1914–1918) was one of the most significant events of the 20th Century and had a seismic impact on New Zealand society. Ten percent of our then population of just one million served overseas, with more than 18,000 dead and over 40,000 wounded. If you’re planning a commemorative activity, project or event, add it to the activities section. This will help promote what you’re doing and will kick start other initiatives around the country. You can also see what is being planned by the New Zealand Government specifically for the First World War centenary. You are also welcome to use the WW100 New Zealand symbol to identify your own commemorative activities. 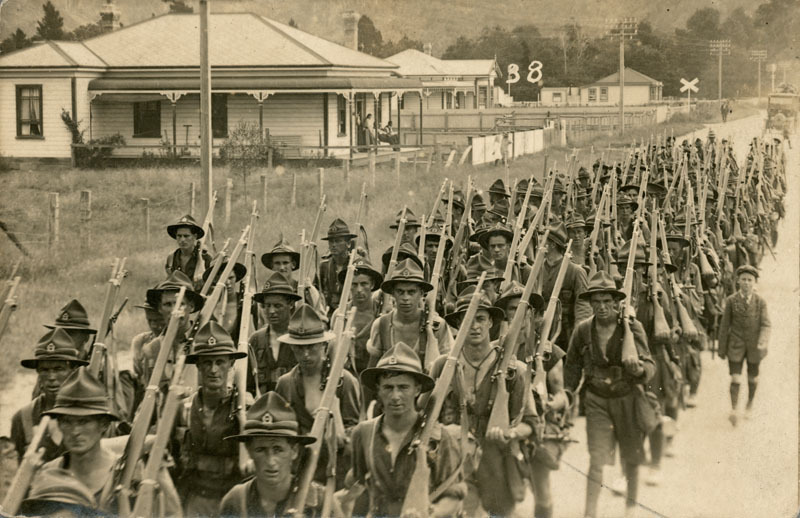 To find out more about the First World War, the timeline shows events from New Zealand's participation. The news section tells you about what’s happening, including Lotteries funding opportunities. We’ll continue to develop the WW100 website further over the next few months. Developments underway include an events calendar, resources to support community groups with their planning and activities, and more connections to authoritative historical content online. If you are starting to plan a WW100 activity, project or event and need advice, contact the WW100 Programme Office. We also welcome your feedback to make sure the website meets your needs. How are you going to remember? Be part of the First World War centenary.